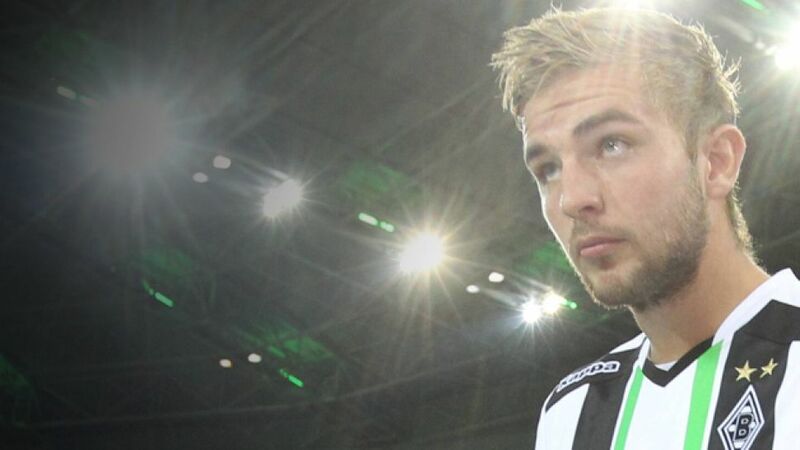 Gladbach - Much has been written about Christoph Kramer since he burst onto the scene as a surprise inclusion in Joachim Löw’s starting line-up for the against Argentina, but his career’s current trajectory suggests that column inches will be dedicated to his endeavours for years to come. For Borussia Mönchengladbach fans, Kramer’s embodiment of all the qualities demanded of a modern box-to-box midfielder was nothing new. Now in the second year of a two-season loan spell at the club, the man with a motor capable of rivalling those of the famed Bender twins continues to raise his level of performance and, despite his young age, has already demonstrated his capacity to shoulder responsibility. Unavailable to help his side extend their unbeaten streak to 14 fixtures in all competitions following a bout of the flu, Kramer had words of praise for his team-mates’ efforts in Thursday’s 5-0 win over Apollon Limassol FC in the UEFA Europa League. "We had Sunday in the back of our heads a little, but we performed exceptionally well and fully deserved to pick up our first win in Europe," said the bruising midfielder following a victory, which has boosted the Foals’ confidence levels even further. Head coach Lucien Favre had no bones to pick about Gladbach’s performance, but was once again keen to impress the need for his players to remain grounded. "The second goal was important to give us more breathing room," admitted the Swiss tactician. "We’ve got to analyse what we’ve achieved properly. I’m not thinking about the weekend at all. We once again won’t have any time to truly recover. Our opponents have two days to do so, but for me it’s completely irrelevant who our opponents are." Leading the pack chasing FC Bayern München at the top-flight summit, Kramer isn’t interested in seeking out excuses post-match as he gets set to face the side against whom he made his Bundesliga debut last season. "Our chances are like that of any other club," said the 23-year-old in an exclusive interview with bundesliga.com. "I think several clubs come out saying they played well, but still end up suffering a 2-0 defeat. That’s exactly what we want to avoid. We’ve got to ensure that we remain acutely focused on converting our chances." Entering a period of fixtures that could play a pivotal role in determining their fate in the first half of the 2014/15 Bundesliga campaign, Kramer is keen to start by impressing against the best German football has to offer in FC Bayern. Though he acknowledges that the league leaders are currently "in a good spell", the Solingen native believes the Foals can get a positive result on Sunday. "They’re not in an unbeatable phase like they were last season," he said. "We can beat them. We need to have a really, really good day, Bayern can’t have their best and then I believe anything is possible." Kramer is among a host of young superstars currently being dubbed the next 'golden generation' on the national circuit, whilst delighting fans and neutrals alike domestically, and is pleased to see German football getting the recognition it deserves. "I think the Bundesliga has gained in attractiveness in the last few years, without a doubt," mused Kramer. "It goes back to the UEFA Champions League final between Borussia Dortmund and FC Bayern München and the World Cup win certainly won’t have done any damage in that department." Though he may not remember his World Cup final cameo appearance due to the concussion he sustained during the first-half against Argentina, a victory over the Bavarian giants, a team currently forging a path of long-term success for German football as a whole, would undoutedly live long in the memory. "We can’t be expected to play at Bayern’s level. We saw the other day that when they’re in that type of form, they can have their way with you. However, we’re not turning up to lose."